2.1 There are two of their signature mains worth a mention, the Pig Slab and the Bagnet. 3 Brenda’s short travel guide to Manila. 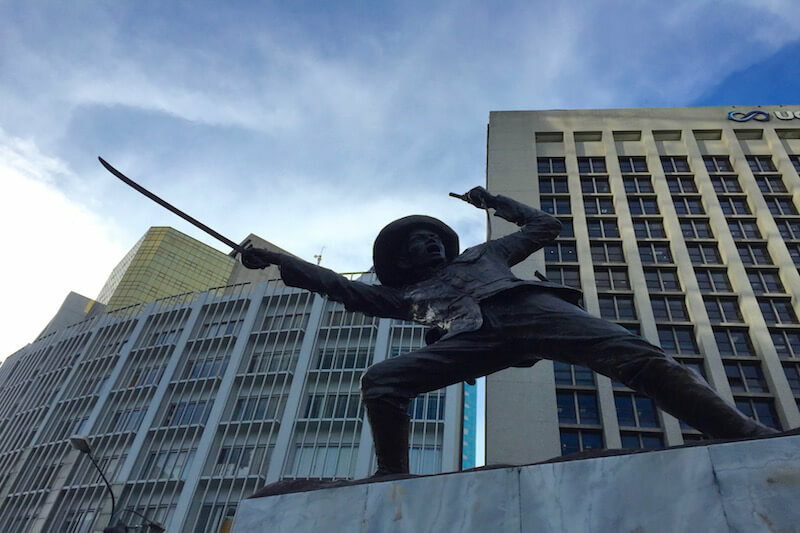 I probably scared you off on my initial post by telling you about the horrors of living in Manila last month, so let me tell you a more positive truth about this metropolis. Life, around here moves at a relatively slower pace compared to other megacities in the East Asian region. Unlike Singapore or Hong Kong , it’s not common to see people brisk-walking on the streets rushing to get to work on time in the morning. Neither do we look with absolute disdain at people who do not stand on the correct side of an escalator to give way to the businessmen running late for work or their daughter’s piano recital. That just isn’t the way we Filipinos do it. We like to take our time, watch the scenery change from floor to floor, and ride escalators in a disarrayed manner. With this affinity for the easy-going life, naturally, one of the activities we’re very fond of around here is chilling or what we like to call “tambay” in Tagalog. Oh, and we take our chill time very seriously. Even the busiest of Filipinos will always have time to hang out. It’s just an integral part of living in Manila. Come over and you’ll see just what I mean. Things are just a bit more relaxed over here. Anyway, one such place that I’ve found to be quite conducive for hanging out is this small place called Pig Tales Gastropub. Not a spacious place, but the interior oozes with personality. The cosy interior and the small floor area create a homey, rustic ambiance. You are then greeted by a friendly, affable waiter who seats you in these simple, elegant wooden chairs and tables as he hands you the menu. It’s a short, concise list of comfort food we Filipinos love. As the name Pig Tales implies, all house specialties use pork. 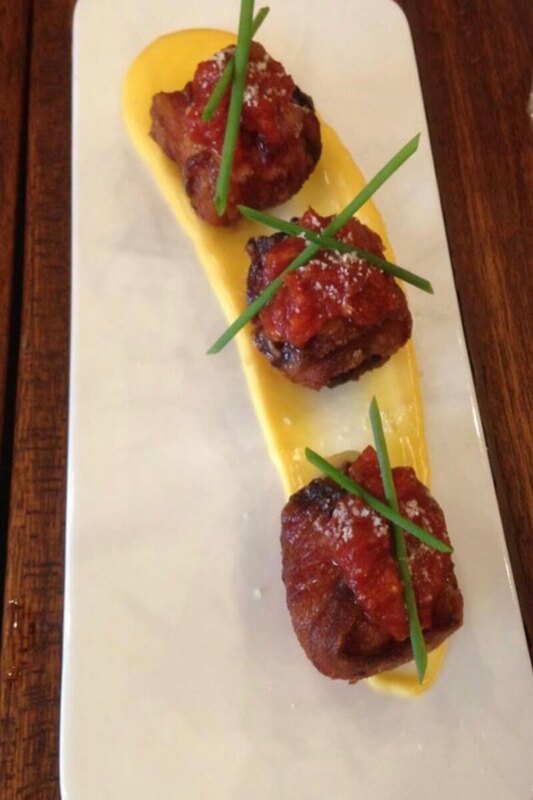 For starters, they serve one of their crown jewels: bacon-mozzarella balls. Yes, it tastes as good as it sounds! Mozzarella cheese wrapped in a thick blanket of fried bacon served with a layer of cheese sauce topped with a dollop marinara. 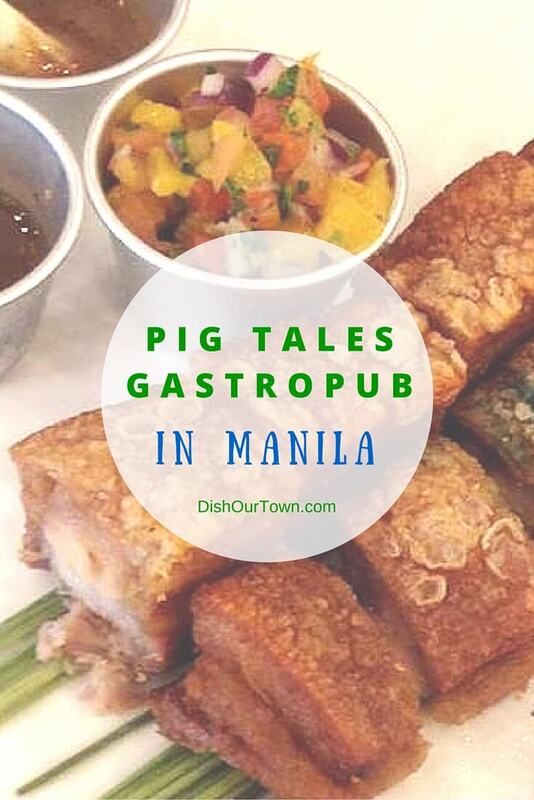 There are two of their signature mains worth a mention, the Pig Slab and the Bagnet. The Pig Slab is two thick slabs of tender, slow-cooked pork belly bathed in hickory barbeque sauce laid on a bed of one of the best mashed potatoes I have ever tasted. As you cut a slice of this Pig Slab, the way the knife cuts through it like butter will instantly impress, and the first bite will not disappoint either. The pork is soft, flavorful, and juicy. The mashed potato is airy, light, with just the right amount of butter; perfectly balanced and perfect. 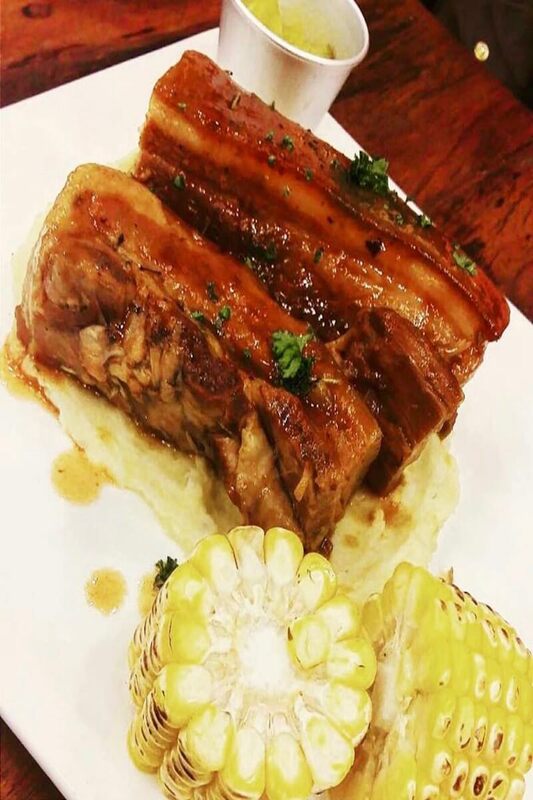 The Bagnet is a tasty, crispy-on-the-outside-juicy-on-the-inside, deep-fried pork belly dish native to the Filipino province of Ilocos. It’s a simple, classic dish that will always go well with an ice-cold beer. Also worth a mention is dessert, and bacon was still present. My personal favourite is their candied bacon on vanilla ice cream. I generally loathe food that mixes sweet and savoury ingredients. For example, I don’t like pineapple as a pizza topping. I don’t like lemon zest on risottos – or anything else for that matter. But for this dessert, I can make an exception. Bacon on vanilla and caramelized sugar just works. I know it’s not a new idea, but the execution is commendable. And the icing on the cake? Local beers are only 50 PHP a bottle! (approx. 1 USD) Perfect for long-haul hangouts without hurting your budget! 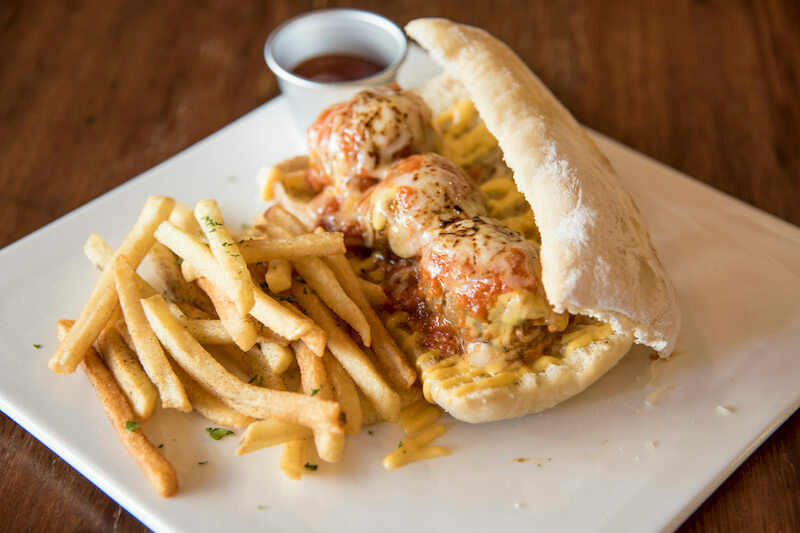 They also serve other delicious dishes: burgers, pasta, and sandwiches, so there’s always something for everyone. While writing this, I was drinking my beer with my belly bursting from the delightful feast I had and found myself thinking of the next time I was to come back. Pig Tales is not a place where you have to be dressed up and really have to think hard about what fancy-sounding dish you’re going to have that evening. It’s not a place for impressing a date or living the high-life. The food is simple but satisfying. You can’t go wrong with any of them. 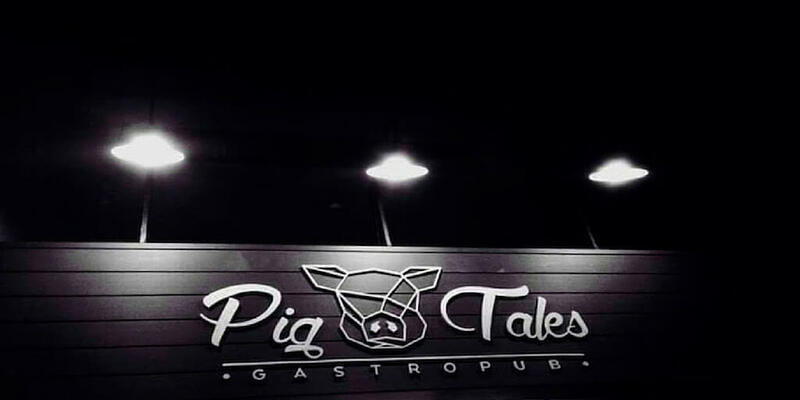 Pig Tales is for laying low, knocking down a few cold ones after a long day, and having a good time at a place that’s conducive to hanging out. And we, Filipinos, are the best at this. Did you like this post on piggy dishes? Please share it with your friends!???????????? Traveling to Manila? Below is Brenda’s short travel guide. So many kinds of pork prepared in so many ways! Although the dessert appealed the most to me. I love the mix of sweet and savory! The balance makes me feel like I could go on forever. OMG… you really made me miss the Philippines a lot! And of course, I agree with all your points. No matter how we Filipinos are busy, we really always try to take time. I’ll surely be taking note of this place when I get back — which is soon! That’s great, Aileen. Maybe you’ll see our man in Manila there, Simonn. I love how you tie in a way of life with the restaurant. Manila is a place I should explore more. I’ve only been once, and that was brief. It is a great town to visit because of the people. I could do without the traffic and the heat though. The food is definitely delicious! I have a co-worker leaving to visit family in Manila soon, I’ll have to let her know about Pig Tales. It’s definitely her kind of place! Oh great, I hope she enjoys it! I’m also curios, can you suggest anything for vegetarians? 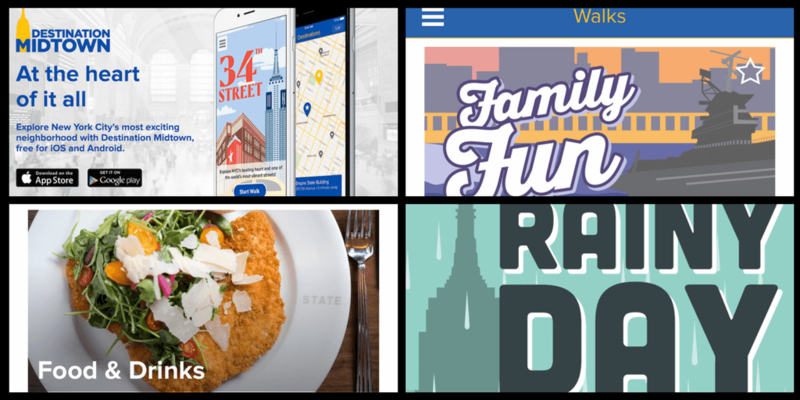 Can’t wait for you to try it and let us know what you think! I’d love to visit the Philippines and explore the natural beauty. I am vegetarian so I wouldn’t partake in any of the dishes in this post. What Philippino vegetarian dish would you suggest is a must for visitors? Jackie, natural beauty it does have! Not so much in Manila but everywhere else – haha! Anyway, there is a dish called Pinakbet that is a mix of veggies usually made with shrimp paste and a bit of pork but the when I was there last year, I saw many restaurants serve it without those 2 ingredients to cater to a vegetarian. Also, if you eat eggs, there is a dish called Tortang Talong with is an eggplant with egg, it’s so delicious. In Manila, there is a place called Corner Tree Cafe, which serves all vegetarian versions of Filipino classics. Hope that is helpful. Let me know if you have any further questions, we’d be happy to help. 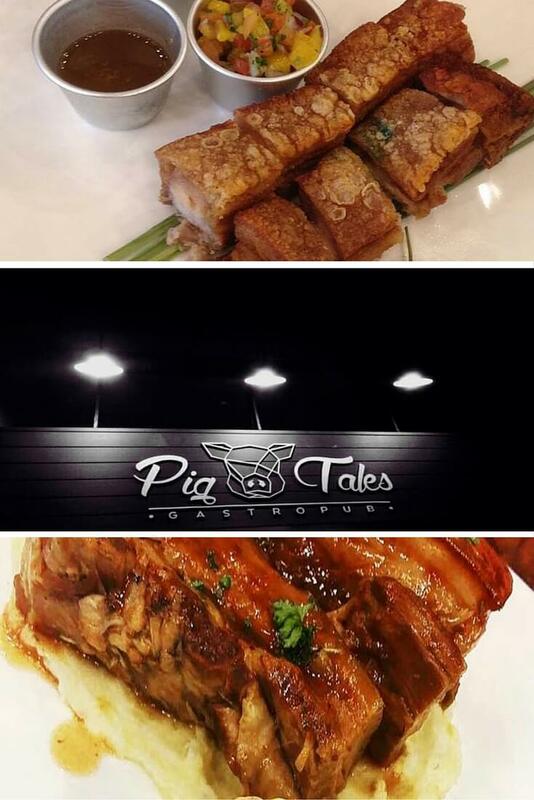 Wow, mouth-watering bagnet, that I have missed so much, and pigslab, that I would love to taste at Pig Tales GastroPub. I do believe Filipino cuisine will sooner or later make the mark in the global food court. Thanks for your post and the vicarious experience. Can’t make these on my own. They never end up the same! Oh yea, I couldn’t make this at home either! I agree with you, Carol. In our hometown of NYC, it’s already making its mark. I have a huge family connection to the Philippines, although I have yet to visit there myself. My uncle was a missionary there in the 1950s, as well as another lady preacher from my childhood church. My cousin and his wife are missionaries there now. I like the way you write about the positive and negative aspects of Manila, including a great place to eat! Wow, really huge connection, Howard. You’ll have to visit them while they are there. Interesting about your uncle, I’d love to find out about his experiences there as a missionary in the 1950’s, it’s got to be fascinating. You’ll have to visit your cousin while he’s still there. Yes, Simonn lives in Manila so the positive and the negative aspects of his hometown is evident in his writing and in his daily life. Thank you! The Philippines is quite a long way from London, as it was from our hometown of NYC, so it’s always much harder to visit but when you do visit, it makes for a wonderful time.